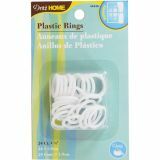 Plastic Rings 3/4" 24/Pkg - DRITZ-White Plastic Rings. Home decor made easy. Use with tie-backs, cafe curtains and Roman, Austrian and Balloon shades. 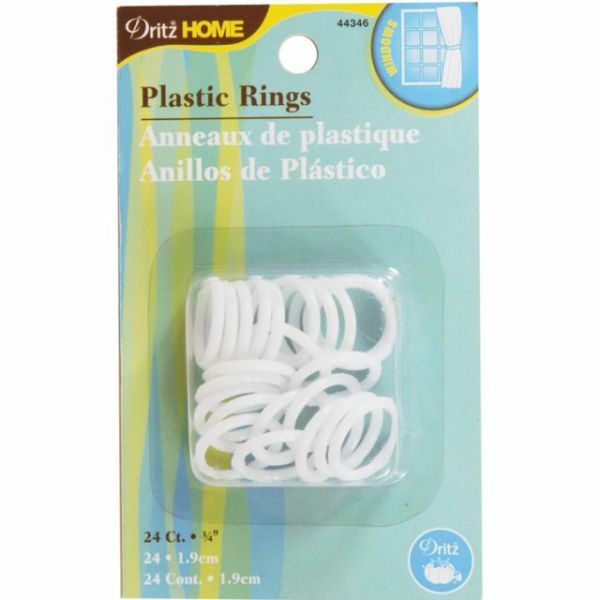 This package contains twenty-four 3/4 inch white plastic rings. Imported.